The sand mandala is complete. It now represents in miniature, the cosmos –metaphysically and symbolically. 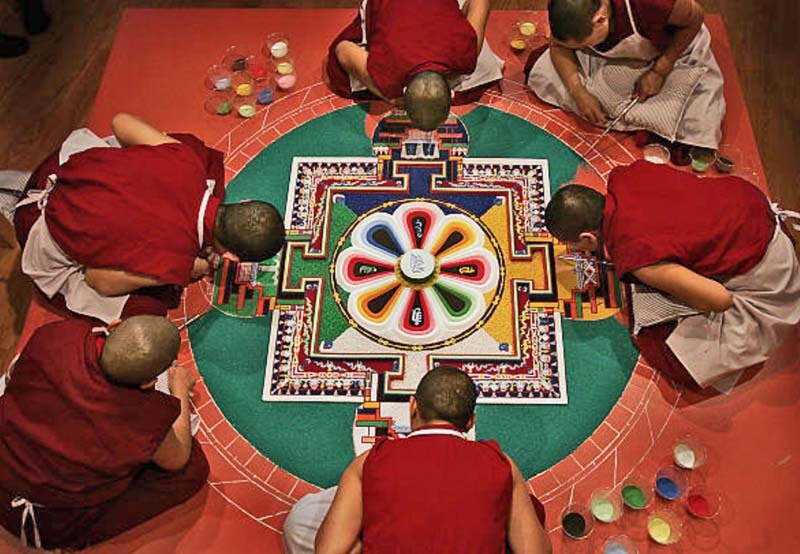 To extend its healing powers to the world, it is ready to be dismantled and dispersed, in this, a ritual demonstration of impermanence – the dissolution ceremony. The Kopan Tibetan Nuns of Nepal’s presentation will be followed by a Q&A on maintaining spirituality and a link to a spiritual homeland while displaced.